We speak to David D’Souza who is the Director of Membership for the Chartered Institute of Personnel Development or CIPD. They are the professional body for HR and people development. They have almost 150,000 members and his job is to make sure that they are continually improving to make sure that they continue to grow – but just as important that people get value from being members. So we wanted to speak to him about why the role of an organization like CIPD is important in the HR world and how and why it can help develop not only your HR professionals but your employees too. Why should employers work with you and your company? We do two key things that are important for organizations and people involved in trying to get the people bit of business right. We provide content – we are constantly researching and developing new content to help people do their job well and to better understand the changing landscape of work. We do some really interesting stuff – and part of our challenge is getting that work in the right hands – but if you work in recruitment our work on lessons from behavioral science (for instance) would be useful reading. Secondly, we also provide community – helping people to debate, explore, argue, enquire and get support and I think that’s increasingly important. Why should small businesses work with you? There are a number of reasons that small businesses would work with us and the most obvious is the range of support that we can offer. If you work in a small organization you often have to bridge multiple roles and we can offer support, materials across most of the employee lifecycle (that warmest of terms…) as well as access to a community of people facing similar challenges. We also offer things like free employment advice calls to our members which can be a really useful benefit for smaller organizations. Finally, as part of membership, you get online journal access which is a great way of keeping up to date with what is happening in the industry. What talent challenges is the industry faced with? There is a rapidly changing external environment but with some embedded and enduring challenges that haven’t shifted much since I started my career in volume recruiting in retail 15 years ago. There is a skills shortage in some areas and people being seen as disposable in others. Recruiting fairly at volume is a challenge as is maintaining a high quality of candidate experience – and I’d include giving developmental feedback as part of that. Fair and unbiased selection remains tricky and candidates expecting a more rapid response to queries complicates things further. There is lots of tech – working out the right tech is a high order puzzle. 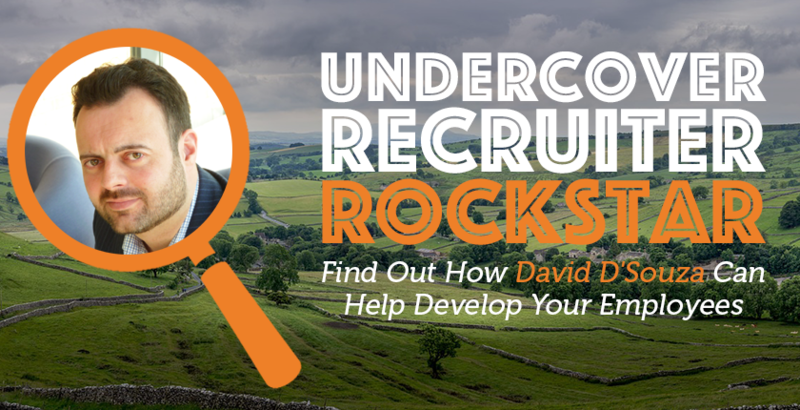 What are the most common mistakes you see recruiters make? One of the most common mistakes I see recruiters make (still…) is seeing attracting the volume of applications as some measure of success rather than the quality of those applications – “It was a great campaign we attracted x applications per vacancy.” It is an odd vanity metric that, for me, still distracts from the actual measure of success which is quality candidates that you would be happy to have in a role. How many people that completed an application process that you actually didn’t want to hire is primarily a measure of how scattergun your advertising is and how much time you are wasting? What’s the one piece of advice you give to HR departments? I give lots of advice to HR departments (sort of comes with the job), but I think that the one piece of advice that most would benefit from heeding is to work the recruitment process as hard as you can to get people that care about leading. Every single time you hire a poor leader you set your organization’s performance and capability back. Organisations still don’t test or even focus enough on that capability and the sense of obligation to lead. If you want to kill an organization over time just keep hiring people that focus on themselves rather than leading well. What hard lessons can you share with us? I think the hardest lesson I had to learn over time is that no matter how different disciplines would like to be known (talent, recruitment, HR, learning and development, OD) the employee has absolutely no interest whatsoever in those niceties. The employee wants a joined-up end-to-end experience from an organization that cares and the ego-driven conversations about who sits or what functions should be called will never change that. If you are genuinely focused on your people then your job is making the whole system point in the right direction – not just doing your bit and then sighing when things fall down further down the chain. Don’t let fancy tech get in the way of actual thinking. I get that it’s like putting a complex puzzle together and I genuinely think that recruitment is leading the way with tech adoption when it comes to people in organizations, but keep focusing on the problems to be solved – not the solutions being sold. Don’t tell yourself that you are doing the diversity and inclusion bit well. Work out how you are going to measure that stuff to guarantee you know you are doing it well. Look after yourself. It’s one of the most demanding and, at times, tense jobs. Take the breaks you need. It’s a relay race of sprints adding up to a marathon – and that is tricky. We are a professional body so we wouldn’t endorse any vendors above another. We love them all exactly equally. I couldn’t survive my day without Twitter, Flipboard and my Mate 10 Pro (long battery life). I don’t know how I’d survive if Linkedin wasn’t available to provide me with maths puzzles and inspiring stories of people paying for other people’s coffee with no desire of recognition for their act beyond expecting thousands of likes. What’s up next for recruiting? AI, blockchain, candidate experience, Brexit. I think that’s the now standard list of buzzwords – but I’ve written too many words elsewhere so I’m hoping a shorter answer here is ok.
Unresponsive Managers – What Message Are You Sending to Employees?